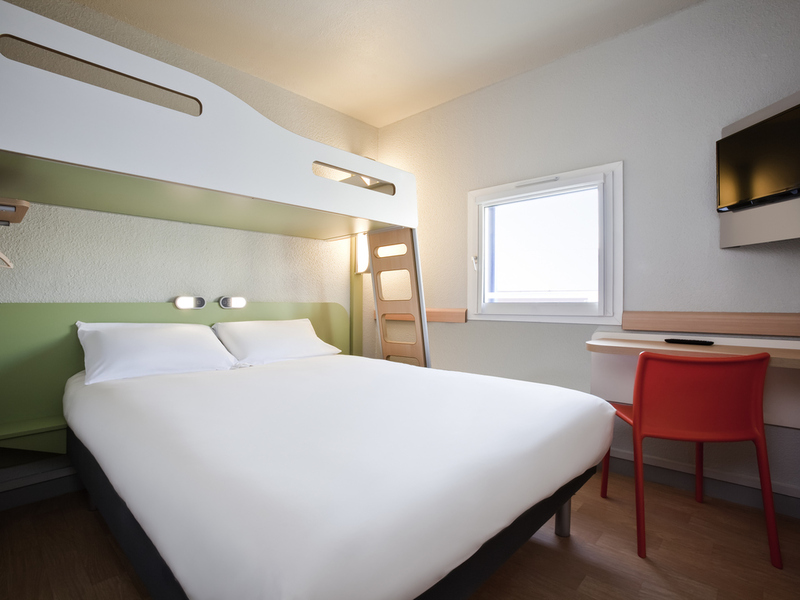 The ibis budget Pontault Combault RN4 Marne La Vallée hotel is located in the Pontault-Combault shopping area. This fully renovated hotel offers comfortable rooms for 1 to 3 people with private bathrooms, perfect for your business trip or leisure stay at a budget price! The hotel also offers free WIFI and parking. Enjoy the unlimited buffet breakfast and the many restaurants in the area for your dining needs.